The BMW 2002 was the spiritual predecessor to BMW's super successful 3-series, but today it is probably better compared to a 1-series or 2-series...although I'm not entirely sure of the difference these days, BMW seems to have subscribed to the "more is better" school of car models. Anyway, a classic BMW 2002 is a cool ride, but does it get better with electricity? 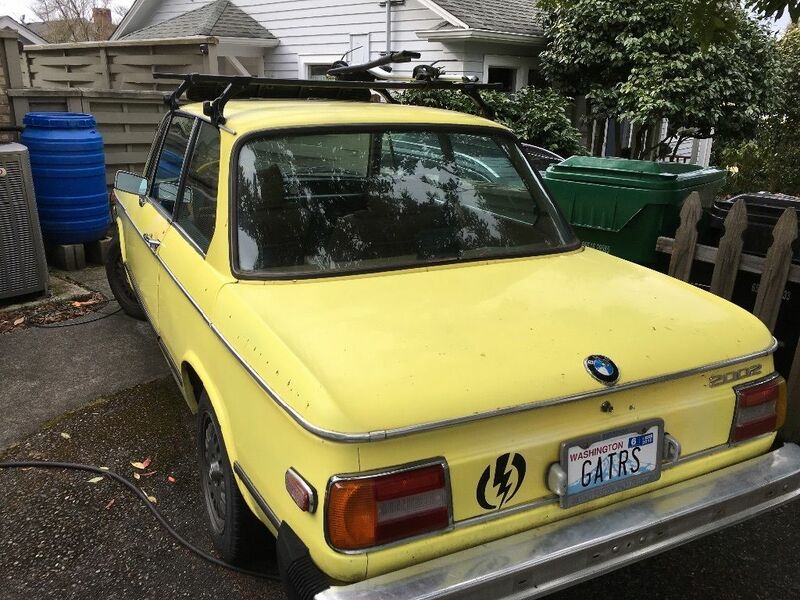 Find this 1976 BMW 2002 here on eBay offered for $10.500 buy-it-now or make-offer, located in Seattle, WA. Tip from Frank. 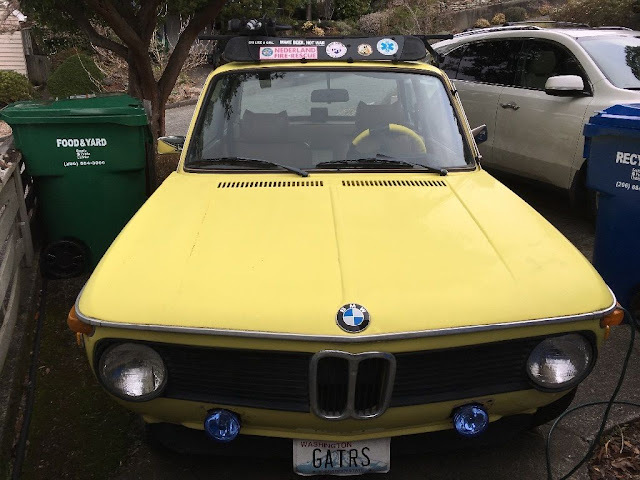 1976 was the final year of production for BMWs little New Class (1600/2000/2002) and it featured square tail lamps and large bumpers (for the US Market). I'm conflicted about the electrification of such a classic...but BMW did make a boat load of these things, so it isn't like you are doing an electric conversion to a Ferrari Dino or something. 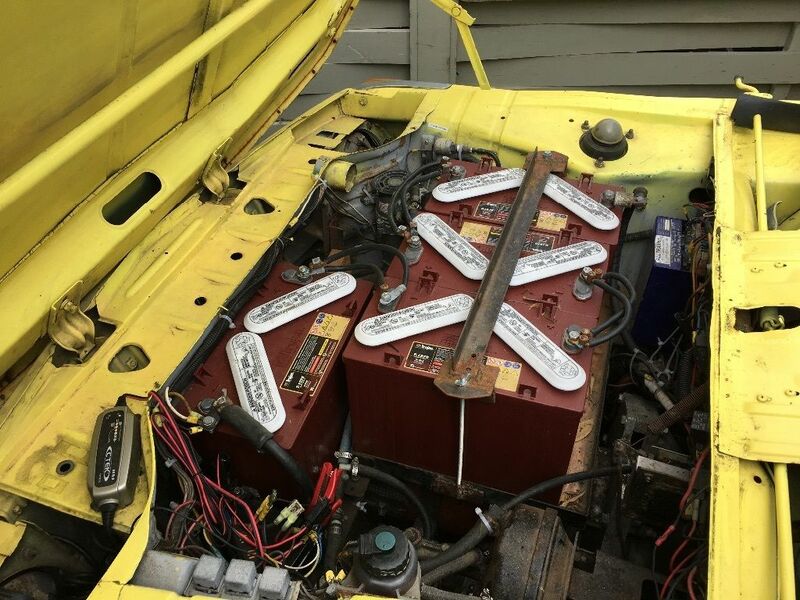 Under the rear trunk and up front are a bunch of lead acid batteries all wired together to give this old gal some range with 120 volts. The seller claims a range of 30 miles, which doesn't seem that good in the world of 100 mile Nissan Leafs (Leaves?) but isn't bad for a homebrew electric. I'll just leave this here: Geo Metro. It's no Geo, so the "purists" will quickly climb atop their soap boxes, but how about this Beck replica. I'm wondering. Does the conversion add or subtract value? I guess it depends on the person. For me it subtracts. In my estimation, the conversion turned a $12K car into a $1.2K car. Unless he still has the original drive train, I think this thing will be sitting in his driveway for quite some time. Or at least within a 15 mile radius of his driveway. One suspects it is probably good you don't work for Haggerty. No back seat....no trunk...batteries held down with a tie down strap....FAIL in sooo many ways. elektrische Pfeffermühlen oder auch electric Peppermills. Really informative post. Great.